Bustling cities and incredible natural beauty make Vietnam an incredible country to visit, even if you can only stay for a week. In seven days, you’ll be able to see Vietnam’s highlights, making your way from Ho Chi Minh City in the south to Ha Long Bay in the far north. Below, we’ve put together a one-week travel itinerary for Vietnam, covering everything from the bustling economic hub of Ho Chi Minh City to the chilled out beach resort of Nha Trang, capital of Hanoi and incredible natural beauty of Halong Bay. Note: Have you prepared a budget for Vietnam? Use our guide, How Much Money Do I Need in Vietnam?, to work out how much you should set aside for each day of your trip, from hotels and guesthouses to dining, drinks and activities. See also our Packing List for Vietnam for a breakdown of what you should bring. Our itinerary starts in Ho Chi Minh City. Still known to many locals as Saigon, Ho Chi Minh City is Vietnam’s busy economic hub and the nation’s fastest growing city. Beautiful grand old hotels, excellent food and a variety of interesting museums make Ho Chi Minh City a fun destination. You’ll need a valid visa to enter into Vietnam. Tourist visas can be received on arrival with an official approval letter. 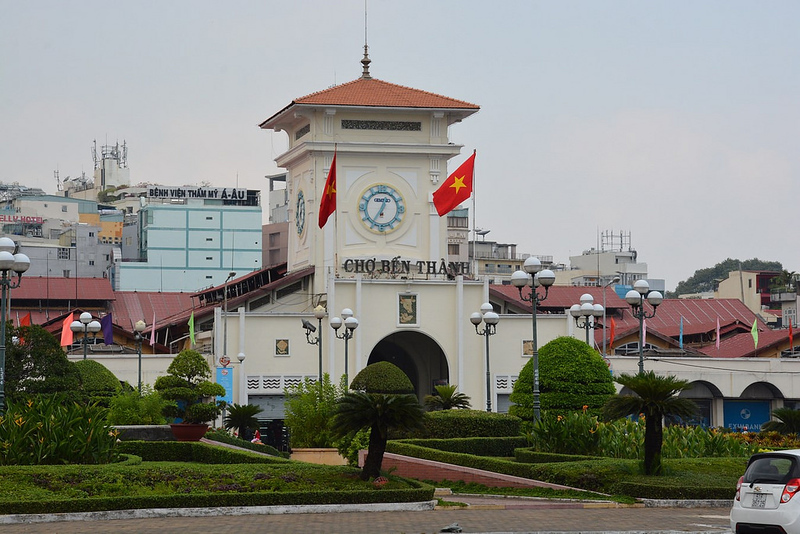 Our guide, How To Get a Vietnam Visa On Arrival, explains how you can apply for a visa on arrival before you leave for Vietnam. Ho Chi Minh City is divided into districts, with most of the city’s accommodation found in District 1. Pham Ngu Lao is the city’s main backpacker hotspot, with a selection of cheap guesthouses and hotels aimed at budget travellers. Our Saigon Quick Guide has more information on the best area to stay in Saigon, as well as the city’s top luxury, mid range and budget hotels. As Vietnam’s largest city, Ho Chi Minh City is packed with fun things to do. Below, we’ve listed five unique, historically significant and interesting activities to visit while you’re in Ho Chi Minh City on days two and three. 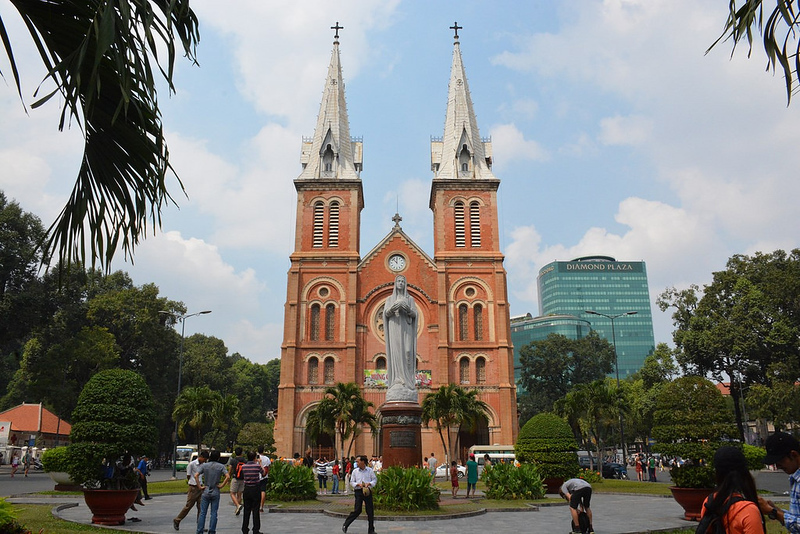 For a more detailed guide to Saigon’s top attractions and activities, check out our Saigon Quick Guide. Reunification Palace is the former Presidential Palace of South Vietnam. In the final days of the Vietnam War, the palace was stormed by North Vietnamese troops (a replica tank is even kept on the site). Today, the palace contains a variety of exhibits on the fall of the South Vietnamese government and is an interesting time capsule of the late 1960s. The War Remnants Museum is a Vietnam War museum that features American planes, tanks, helicopters and other war machinery, as well as several moving photo exhibits of life in Vietnam and around the world during the war. Towering above Ho Chi Minh City’s thousands of tall, thin townhouses is the massive Bitexco Financial Tower. The Saigon Skydeck, which is on the 49th floor of the tower, has a fantastic view of the city. The A O Show (pronounced ahh ohh) is a Cirque du Soleil-style stage performance of Vietnamese culture. The show, which features live acrobatics and Vietnamese music, is held inside the historical Saigon Opera House. The Cu Chi Tunnels are an incredible network of tunnels built by the Viet Cong during the Vietnam War. Today, some tunnels are open to the public, with guided tours of the area available from travel agents in Ho Chi Minh City. 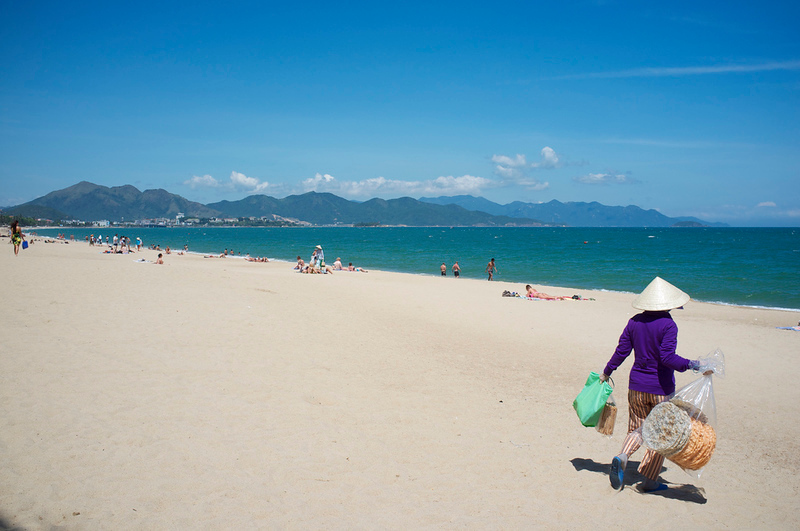 Vietnam’s most popular beach resort city, Nha Trang, is a short one hour flight from Saigon. A great selection of beachside hotels, fun day trips and great diving make Nha Trang a fun place to spend two days before heading north to Hanoi and Halong Bay. In addition to diving and relaxing on the beach, Nha Trang has a variety of attractions. Long Sơn Pagoda, a stunning Buddhist temple, is one of the city’s main cultural sites, offering a nice break from the hustle and bustle of the beach as well as a fantastic view of Nha Trang. Looking for things to do in Nha Trang? Our Nha Trang, Vietnam summary lists Nha Trang’s best dive companies and shares several interesting things to do around the town. After two days in Nha Trang, it’s time to travel to Hanoi. 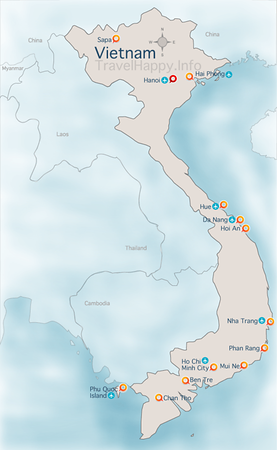 There are 11+ flights per day from Nha Trang to Hanoi, with most reaching the capital in just under two hours. It’s a quick taxi ride from Hanoi into the city, making it possible to see most of Hanoi in one day if you travel early. Popular attractions in Hanoi include the Ho Chi Minh Mausoleum and Ho Chi Minh Museum, two memorials to the famous revolutionary leader. The Temple of Literature, one of Vietnam’s most famous Confucian temples, is an incredible historical site in the centre of Hanoi dating back to 1070. Our Hanoi Quick Guide lists more things to do and see in Hanoi, from ancient temples to some of the city’s best fine arts and Vietnam War museums. A UNESCO World Heritage site, Halong Bay is a spectacular bay in the far north of Vietnam famous for its beautiful limestone islands. The bay contains just over 1,600 islands and is best experienced aboard a junk, with trips available from Hanoi. There are two ways to visit Halong Bay. The first is on a day trip, which depart from Hanoi in the early morning and typically get back late at night. The second option is to spend a night aboard a junk in Halong Bay before returning to Hanoi in the early evening. The best option depends on the time of your return flight. If you leave in the morning or early afternoon of the seventh day, it’s best to take a day trip to Halong Bay on day six. If you leave late at night (after 10pm) you’ll be able to make it back from an overnight trip in time. Learn more about the best boat trips to Halong Bay, as well as fun things to do while you’re on the bay, in our Halong Bay Quick Guide.